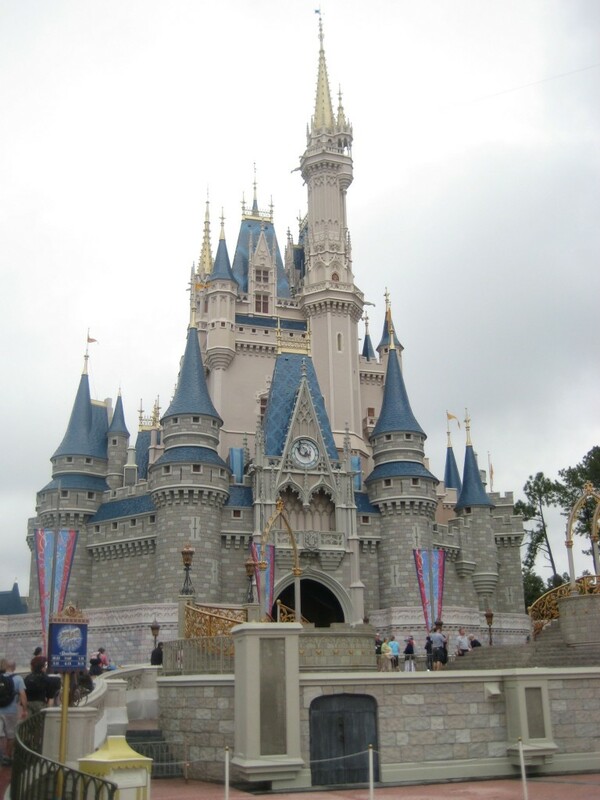 A trip to Walt Disney World in Florida or a cruise on the Disney Cruise Line can be somewhat overwhelming financially. There are travel costs, hotel costs, food, and park tickets. Don’t forget souvenirs and incidentals. For the average family of 4 who wants to stay on Disney property, this can easily add up to several thousand dollars. This can be such a large amount that it just seems impossible to come up with the money all at one time. Some of my favorite tips for budgeting for a Disney vacation are below. These are ways that I offset the cost of a magical vacation. One of the easiest things that I do when I know we are preparing for a Disney vacation is to work on cutting my grocery budget down so that I can purchase a Disney gift card each week or month when I’m doing my grocery shopping. This not only helps me to pay weekly or monthly towards the vacation, but at our grocery store, Kroger, you get fuel points for gift card purchases. At certain times of the year, you can even get 4 times the dollar amount on the card in fuel points which saves you on gas when you fill up. I have also used this to purchase gift cards for restaurants that we might stop at when we are driving down to Orlando. You can also get deals on gift cards through local warehouse clubs like Sams and Costco at certain times. This can save you even more on your gift card purchases. The resorts will take the gift cards as will Disney Cruise Line. We have used these to pay for tickets, our onboard account, and souvenirs. Disney often will offer their dining plan for free at certain times of the year. This is usually during less crowded times and it can save you some money if you think you are going to eat all your meals on Disney property at the resorts or parks. If you know you are going to visit Disney two years in a row, price out whether an Annual Pass would be a cheaper alternative for you. If you purchase the Annual pass for your first trip, you can use it for your second trip the following year as long as you plan to go right before your pass would expire. Depending on how many days you plan to go to the parks, this can wind up saving you some money on your park tickets. If you have a large family and will need multiple rooms, you may get a better deal by renting points from a member of the Disney Vacation Club. This will allow you to book a two bedroom unit at one of the Disney Vacation Club resorts and that can save you money on your hotel bill and also provide you with a full kitchen to save money on eating out by cooking some of your meals in the unit. You can go through companies like The Timeshare Store to rent points or you can find members on various message boards such as www.disboards.com or www.mouseowners.com that are offering to rent their points. Points can go for as low as 10 dollars a point in some cases. If you are driving to a Walt Disney World Vacation, a stop at a local grocery store can wind up saving you some money on some of your meals. Most resort rooms have a mini fridge so it’s easy to purchase Milk for cereal and fresh fruit for quick breakfast in the room. You can also purchase all the things necessary to pack sandwiches along with some healthy snacks to take in to the parks with you. Lunch in the parks can really add up if you are not on a dining plan and taking your own food in is convenient and helps especially when you have picky eaters. Disney allows food to be brought in to the parks. If you are planning a trip on the Disney Cruise or any other cruise line, you can save a lot of money by booking your shore excursions yourself not through the cruise line. You can find information on providers on boards like www.disboards.com and on www.cruisecritic.com. Ask the vendors policy on cancellation in the case of the cruise line changing itineraries at the last-minute or not being able to dock at that particular location. Some will refund you in these situation and some will not. We have booked both through the cruise line and direct ourselves and have had positive experiences both ways. Finally, if you are traveling on Disney Cruise Line specifically and like to partake in adult alcoholic beverages, Disney allows you to bring alcohol on board in your carry on. This is something that is extremely rare in the cruise business as most ships make a lot of money on alcohol sales and will confiscate alcohol you purchase while in various ports. Disney allows you to bring it on board and keep it in your room – drinking when you please. You can save A LOT of money by bringing on some of your own alcohol on Disney Cruise Line. I know this entry is old, but I’ve been browsing through your site for a little while and wanted to leave my comment on this post. 🙂 We’re wanting to plan a Disney trip with our son before he starts kindergarten (so we can avoid having to plan during school calendars), but it’s expensive!! Our friends did the timeshare method and had a decent time, we may take that route, but I’m always uncomfortable in a sales pitch situation. Great tips! A Disney Cruise would be awesome too, but that’s more expensive that Disney World! Angella, you can always try renting points with the Disney timeshare and actually experience it without having to buy in. There are several ways to do that. If you search through Google for Renting Disney Vacation Club points, you will find a few sites. DVC Rentals from David is one site that we have used in the past to rent our points to others. This will get you on property, with a kitchen or kitchenette and if you get a one bedroom, even laundry which is extremely helpful with a young one. Will also give you the flexibility to come back for naps or a break in the afternoon and then head back to the parks. Worth checking out – and you avoid the sales pitch. If you like it, then you can explore that option later on of buying a contract.